I remember some years ago watching a dreadful film called “Junior” with Arnold Schwarzenegger and Emma Thompson. The fact that I thought it was dreadful whilst trapped on an aircraft for 8 hours only reinforces how bad it really was. Tedious story short “The Governator” plays a scientist who agrees as part of a fertility project to carry a foetus in his body. Dodgy Arnie films and a transgendered person in the US who now male carried a baby to full term aside women are solely responsible for the difficult part of satisfying the genetic imperative. Fact. In the process of completing an essay for college recently I took time to read a number of journal articles, published government reports and NGO reports on the topic of women in business and the gender pay gap. It would be easy (and I must confess I had largely taken the easy route) to assign all of these differences to women being out of the workplace through childbirth and parenting. If I’m honest my apathy on the subject was based on “well men can’t have kids” but reading the statistics above (and much more) has left me feeling that organisations need to do more than they are doing because although the statistics are changing positively year on year (check the ONS website if you don’t believe me) they are in tiny increments which don’t for my part tally with the contribution the women I know make the workplaces I have known. What I find interesting in this case is though rafts of policy have been enacted since 1997, the change is taking time and I don’t believe we’ve got the family friendly policies right yet in terms of where they are positioned and the reaction that generates from organisations (the automatic defensive to the ‘right’ to work flexibly) and a blog post worth reading (including the comments) on this topic is here . Saying that, I don’t believe a positive discrimination approach will work as not only is it legally dubious but also I think it will leave women feeling exposed and vulnerable to criticism in a way that would be more unhelpful than the results it could achieve. Note: This post only scratches the surface of a very complex situation and for those who are interested in more detail there is loads available, start with the reports linked here and follow the trail. I am by nature fairly difficult to impress. I don’t know why but my default reaction to most things is “that’s great but…”. I don’t know where this came from. This afternoon I witnessed something humbling. 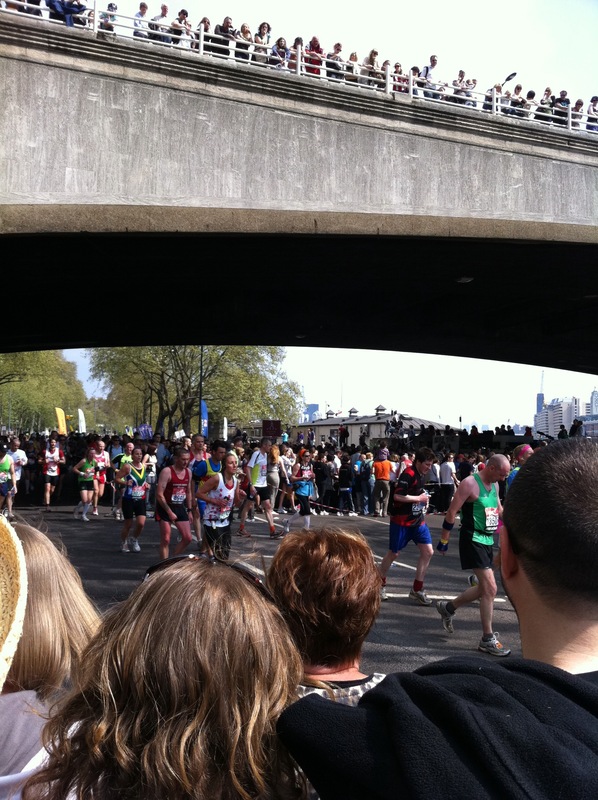 I witnessed several thousand people running the London Marathon and although I have watched it many times on TV and even in person once before it wasn’t until today that I was truly in awe of the achievement of the people running past me. “Resilience” the positive capacity of people to cope with stress and adversity. This coping may result in the individual “bouncing back” to a previous state of normal functioning, or using the experience of exposure to adversity to produce a “steeling effect” and function better than expected (much like an inoculation gives one the capacity to cope well with future exposure to disease) (Masten 2009). If anything I have seen typifies this then it was those I witnessed punishing themselves today. The second thing I noted was that with the exception of the elite runners (who were done before I got there), there was no sense of win/lose, no sense of competition – everyone was there to support, help, cheer or at worst avoid crashing into, someone else. The crowd were not hoping one went faster than any other, no one cared how much these people were paid and there was definitely no chorus of “you’re not singing any more”. The third thing that struck me was the celebration. At the end every runner who completed the course was given a medal and bag of stuff (chocolate, t-shirt etc) and the look of pride on the faces walking past me said how they felt about wearing that medal. I think organizations are incredibley poor at celebrating success, they may do it privately, behind closed doors and then there is always a hint of embarrassment and a collective look of either a) we should have done more/better or b) this celebration is not allowed we should be working. The look on those faces should tell CEOs everywhere why celebrating success is an excellent use of time. Finally, and this kind of links to the lack of celebration, organizations love to take any completion and immediately turn it into a case study, hold a “lessons learned” meeting or a review on “what should we do better next time” robbing anyone involved of that little moment of validation that says “i’m good at this”. Don’t get me wrong I am all for achieving goals but maybe, especially in current financial conditions, organizational leaders need to give their teams a chance to understand what they’ve done well and take a well earned pat on the back for it. To all those involved in organising it including TFL staff, the Police and the volunteers who held ropes and lifted bales – well done! 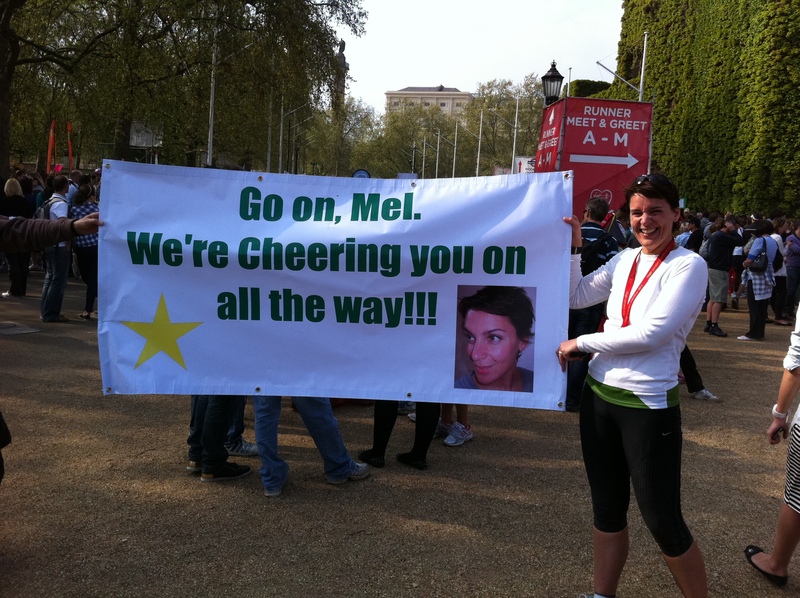 And finally to my friend Mel Buckenham, despite my crass humour at the finish I feel humbled by what you’ve achieved and hope you too feel incredibly proud of what you achieved and the money you raised. Masten, A. S. (2009). Ordinary Magic: Lessons from research on resilience in human development. Education Canada, 49(3): 28-32. In my last post I talked about Leadership and to manage your expectations right up front, in this post, and in countless more, I will again. It’s a topic that fascinates me not just from a work perspective but in life in general. Again in my last post I shared the device I use to start a conversation about what makes great leadership – I ask people to bring a picture of someone they consider a great leader. Much to my relief, it really works but on one occasion worked to make me look very foolish and as it seems to be global culture anecdote day let me explain…. Picture the scene, it’s the summer of 2010 and employee relations are definitely high on Willie Walsh’s agenda. Being a loyal British Airways customer whore for tier points/BA miles I had opted to fly BA to India despite the strikes. This actually worked to my advantage as the flight was crammed and I got bumped from Cattle Plus to Club Class – happy days. Moving on to the ‘picture of someone you consider a great leader’ exercise, the looks became absolutely clear to me. Of the 15 people in the room, no less than 4 of them had brought….you’ve guessed it – “Grumpy Guy with iPad”. To give this some context M.K. Gandhi (yes THAT Gandhi) only appeared once. On a scale of 1 to 10 how big an idiot do you think I felt? Yes, 12. Anyway, this man, who I had written off as a cranky show off, is one of the most respected businessmen in India, has built a hugely successful business, is on the board of a globally renowned business school, has been honoured by more countries than you can shake a stick at (including ours) and yet I had dismissed him and given him a cheap nickname…but was I wrong? 2. Was it fair of me to judge the human being sat next me in the terms of the global business leader he was being considered the following day? 3. Can we really expect anyone great leader or not, to be great 24/7? (especially in Club Class). Do “we” (the little people) hang too much of our hope, expectation and destiny onto this notion that these people are really great? 4. When will I learn not to lead with my chin? My failure I believe was due to several factors amongst which were as an out and out extravert not letting people have any time to think about any answer but more significantly to pick a topic so vast and dare I say it over published/discussed/venerated/poorly defined and then to expect people to pick some nuggets out of thin air. Suffice to say the workshop didn’t improve much from there and I went away deflated and introspective…. What has ensued on the many occasions I have used this, in countries as diverse as the UK, US, Hong Kong, China & India, are probably some of the most interesting and enlightening discussions I have had at any point in my role and what’s amazing is the diversity of people that get chosen but more about that another time…. 4. Apparently it’s OK to consider Captain Kirk (as played by William Shatner) a leader in at least 2 countries! In the beginning there was the word, and the word was Mentor and a Mentor was good. So what happened? Did people simply exist without the additional support, counsel, guidance and G&T that a mentor provided? Simply put – NO. What happened was people built their own mentors, but rather than it being one big cheese the support came from many people – kind of DIY mentor made up of numerous people both senior & junior, both inside & outside the organization, both colleagues & friends – they built networks of support, but how are those networks of value? At the same time the academics have (of course) developed their own models of what they term “social capital” which is defined as any aspect of social structure that creates value and facilitates the actions of the individuals within the social structure and is created when the relations among people change in way that facilitate instrumental action (Coleman, 1990 in Siebert et al 2001). In terms of career development they use several models to try and “keep score”. The first (weak ties) considers the intensity, frequency and diversity of the people an individual is linked to, the second (structural holes) considers the “uniqueness” of the linked person – how discrete is one contact from another and the final one that seems popular is Social Resource Theory which builds on Weak Ties by consider the “value” of the linked person in terms of career development. But does any of this work in reality? During a conversation with a supplier some months ago she recounted having worked directly for Stuart Rose (Sir Stuart formerly of M&S fame Rose) who she described as “the consummate networker”. In the days before Linkedin, Facebook, Twitter etc he ‘apparently’ had a comprehensive system for managing his network and was fanatical about keeping it updated and more specifically growing it having stated a goal to run M&S he set out to network himself to it, operating a number of rules, the primary of which was “don’t make the first contact the one where you ask for their help”. And as we all know, he got there and….well he got there! Where does all of this leave me and you?